1. Open Film Strip Photo Frame online tool. 2. Click browse and select photo on your computer. 3. Click upload button to apply Film Strip effect. 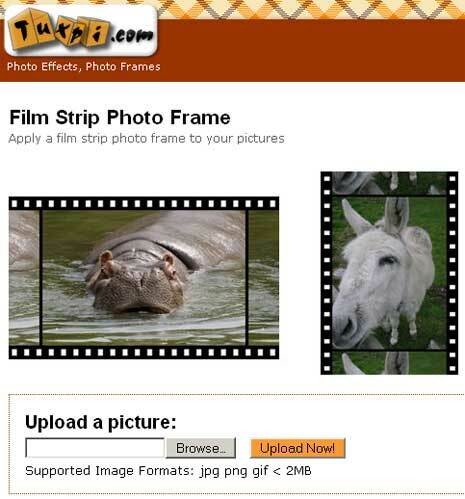 In few seconds, uploaded photo with Film Strip effect will be available for quick downlad. You can upload photo upto 2MB of size (supported image formats include: jpg png gif). Make your photos little filmy or checkout some super cool effects at PhotoFunia and SillyScenes.